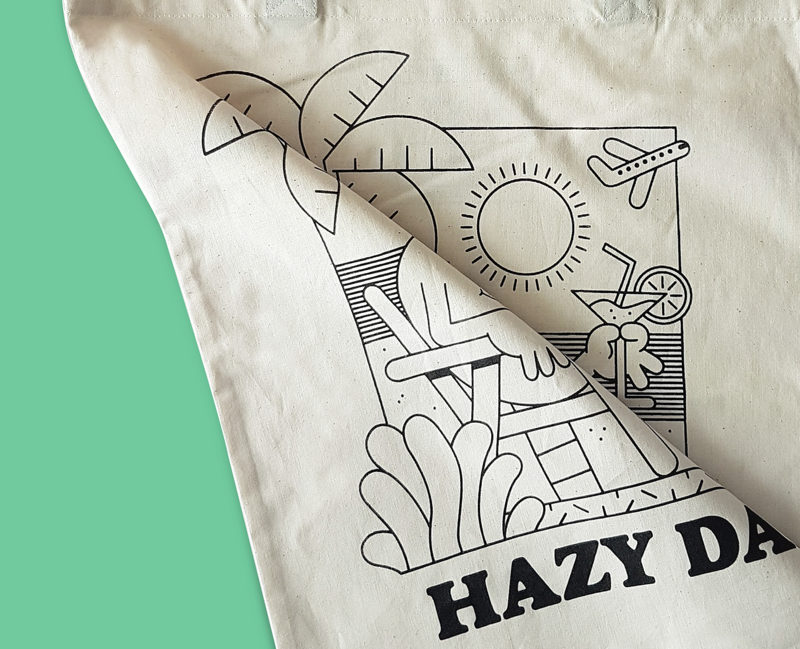 The 'Hazy Dayz' Collection. 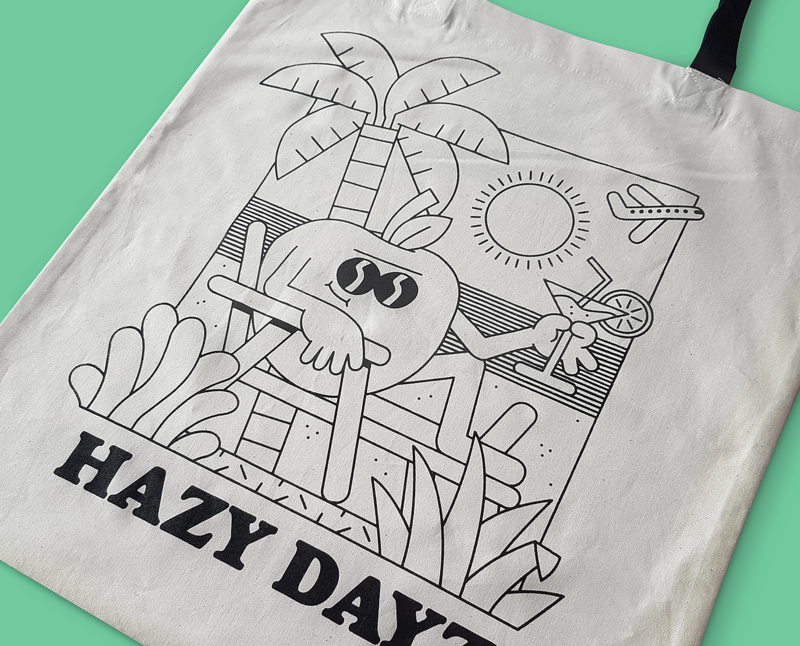 A collaboration with Lisbon based Two One Studio. 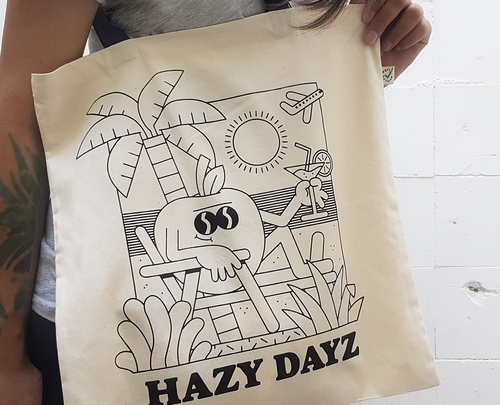 A limited edition run of hand screen printed totes. The hundle is in black and the graphic is perfect for the summer.